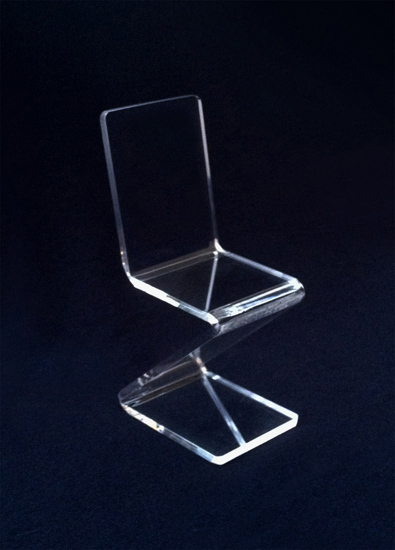 The customer with less experience often confuses Lucite or Plexiglas ( PMMA) , with another acrylic, i.e. 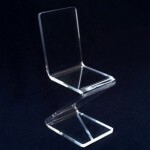 polycarbonate. 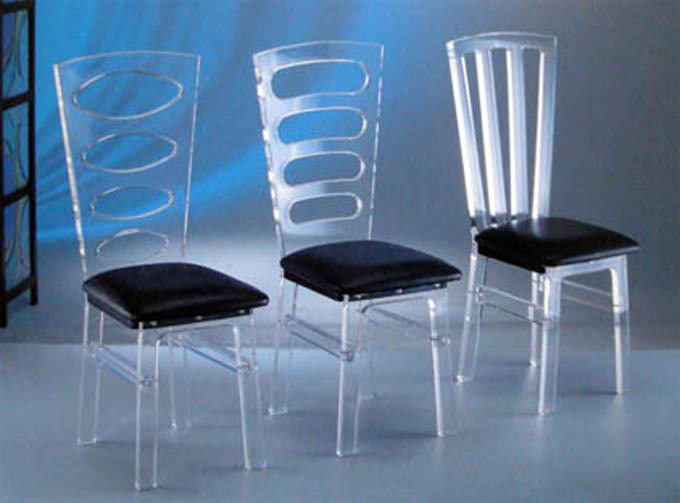 This is especially due also the success of famous brands that make polycarbonate chairs that have invaded the average and , in some cases, the high level of the market. 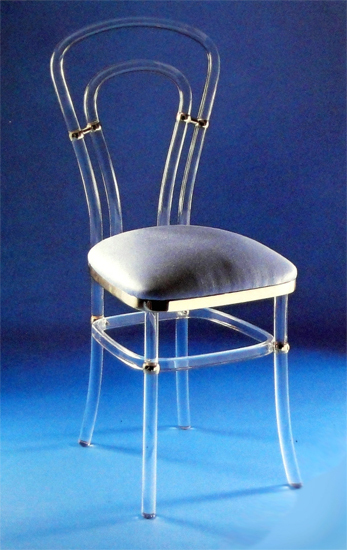 The difference is rather substantial . 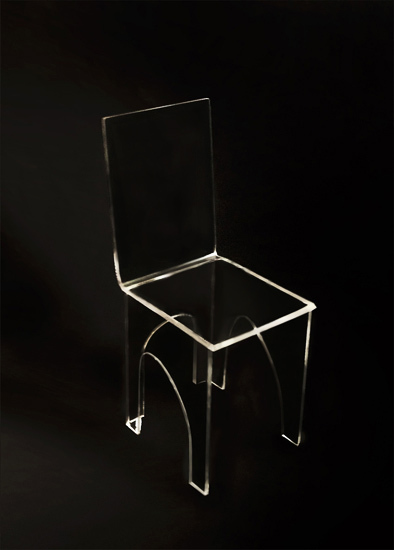 The purity , transparency and brilliance of Plexiglas (PMMA: polymethyl methacrylate) , are clearly higher . 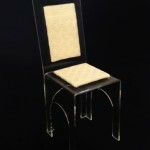 Also the processing and production methods are completely different . 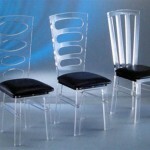 The polycarbonate items in the market are made by injection at extremely low cost and very short time. 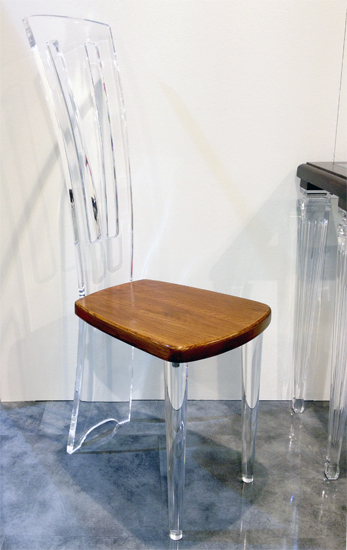 Our products are made starting from the raw material in the form of blocks and sheets and crafted the same way as solid wood. 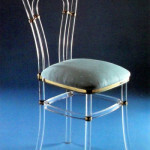 It is the experience and the attention to detail and to the quality of our craftsmen that allows the creation of unique objects that, once seen them live , it is difficult to forget and certainly they will no longer be any confusion. 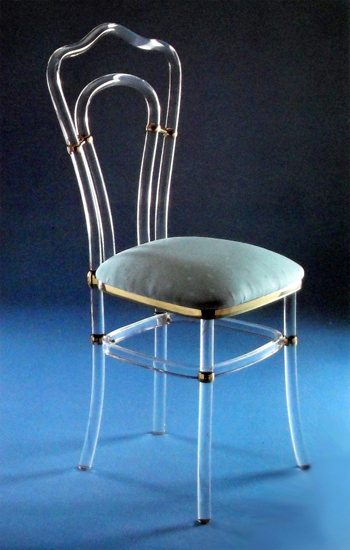 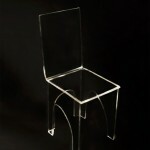 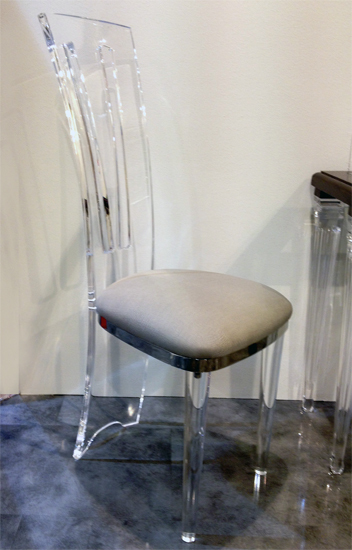 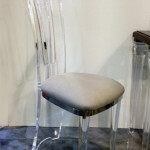 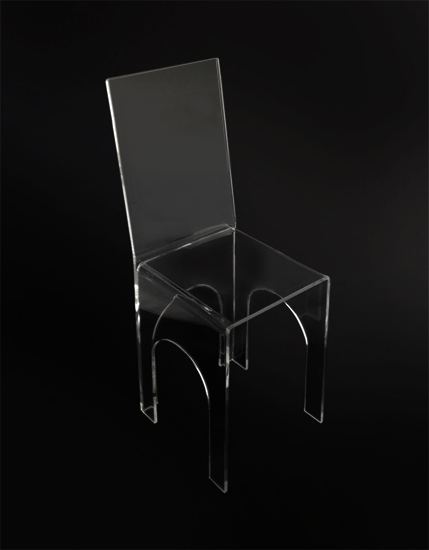 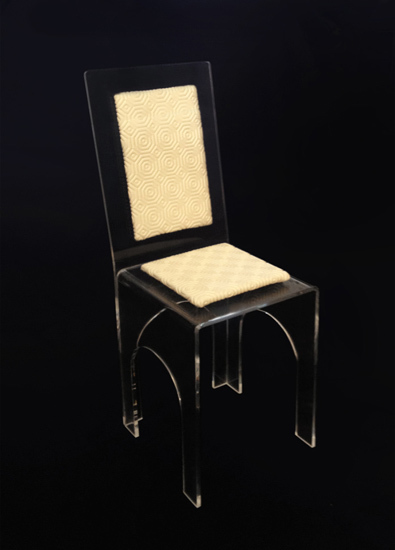 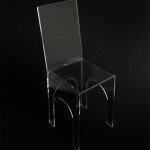 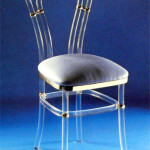 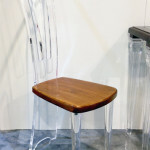 Below are some examples of plexiglas chairs ( or lucite chairs ) of our production.